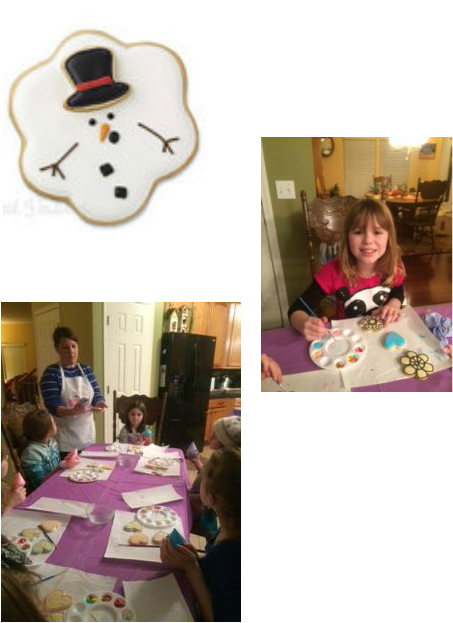 We are excited to introduce our kids' cookie decorating class! This class is designed for kids age 5 and up. We will have multiple stations setup to work with different skill levels. From the youngest of cookie artists to the budding professional artist, we will help you along the way. Parents are welcome to come and supervise at no additional cost or may purchase a separate seat and join along in the fun. This is also a drop off event, so feel free to grab a nice lunch or do some errands while your child creates their masterpieces. Saturday, December 17: 10:00a.m. -11:30 a.m. Location: McHenry Recreation Center @ 333 S. Green St.